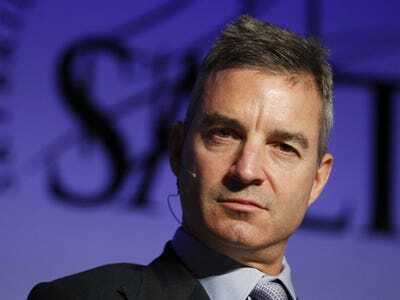 Dan Loeb is having a great week. Dow Chemical and Loeb’s hedge fund Third Point have just announced an agreement. Dow Chemical is now adding four independent directors to its board. Two of those new directors — Raymond J. Milchovich and R. “Steve” Miller — had previously been retained by Third Point as advisers. They now have to act as independent directors, meaning they can’t have contact with Loeb. The other two directors were picked by Dow. Dow Chemical’s stock was last trading up more than 2%. Dow isn’t Loeb’s only win this week. On Thursday, Sotheby’s — one of the Loeb’s other targets — said that its CEO Bill Ruprecht would step down following a “mutual agreement with the Board.” Loeb and two allies joined the auction house’s board back in the spring. Sotheby’s stock was last trading up about 8% in the pre-market. All four individuals will be included in Dow’s nominations for election at the 2015 Annual Meeting of Shareholders. Loughridge, Milchovich and Miller will join the Board effective January 1, 2015, and Davis will join the Board in May 2015, following Dow’s 2015 Annual Meeting. As a result of today’s announcement, Dow’s Board will increase from 10 to 13 members, as of January 1, 2015. Mr. Mark Loughridge was named IBM’s Senior Vice President and Chief Financial Officer in May 2004. He was given the additional responsibility for Enterprise Transformation in July 2010 to lead IBM’s ongoing integration and transformation as well as continue in his role as CFO. Loughridge retired from this position in December 2013 after 36 years with IBM. He joined the company in 1977, where he started as a development engineer in the Office Products Division in Lexington, KY. He holds a Master of Business Administration degree from the University of Chicago Booth School of Business, a bachelor’s degree in mechanical engineering from Stanford University and completed studies at Ecole Nationale Superieure de Mecaniquein Nantes, France. In 2010, Loughridge was rated by the buy-side analysts as the top rated CFO in the IT Hardware Sector by Institutional Investor. In 2012, he was ranked the #1 CFO in America by the Wall Street Journal, and named the “Executive Dream Team” CFO by Fortune Magazine, and the “Best CFO” in the IT hardware category by Institutional Investor. Loughridge serves on the Board of Directors of The Vanguard Group. He is also a member of the Council on Chicago Booth. Mr. Milchovich has served as the Lead Director of Nucor since September 2013. Mr. Milchovich served as non-executive Chairman of the board of directors of, and a consultant to, Foster Wheeler AG, a Switzerland-based global engineering and construction company serving primarily the energy infrastructure markets, from 2010 until his retirement in 2011. Previously, Mr. Milchovich served as the Chairman and Chief Executive Officer of Foster Wheeler from 2001 to 2010 and as President from 2001 to 2007. Prior to that, Mr. Milchovich served as Chairman, President and Chief Executive Officer of Kaiser Aluminium & Chemical Corporation, a producer and marketer of alumina, aluminium and aluminium fabricated products, from 1999 to 2001, and as President and Chief Operating Officer from 1997 to 1999. Mr. Milchovich began his career in the steel industry, holding a variety of operating management positions for Wisconsin Steel Corporation and Wheeling-Pittsburgh Steel Corporation. From 2002 to 2007, Mr. Milchovich served as a director of Nucor and voluntarily resigned from such position to devote more time to his position as Chief Executive Officer of Foster Wheeler. Mr. Milchovich was also a director of Delphi Corporation from 2005 through 2009. In serving as Chief Executive Officer of two different companies for more than ten years, Mr. Milchovich developed strong leadership and strategic management skills. Mr. Milchovich has more than 30 years of experience in the metals industry. At Nucor, Mr. Milchovich is the Chairman of the Governance & Nominating Committee and a member of the Audit Committee and the Compensation & Executive Development Committee. Mr. Milchovich holds a Bachelor of Science from the California University of Pennsylvania and Advanced Management Program from Harvard University. Mr. Miller is Chairman of the Board of American International Group (AIG), and Chairman of MidOcean Partners, a private equity firm specializing in leveraged buyouts, recapitalizations and growth capital investments in middle-market companies. Mr. Miller served as Chief Executive Officer of Hawker Beechcraft, an aircraft manufacturing company, from February 2012 to February 2013. He served as Executive Chairman of Delphi Corporation from January 2007 until November 2009 and as Chairman and Chief Executive Officer from July 2005 until January 2007. From January 2004 to June 2005, Mr. Miller was non-executive Chairman of Federal Mogul Corporation. From September 2001 until December 2003, Mr. Miller was Chairman and Chief Executive Officer of Bethlehem Steel Corporation. Prior to joining Bethlehem Steel, Mr. Miller served as Chairman and Chief Executive Officer on an interim basis upon the departure of Federal Mogul’s top executive in September 2000. Mr. Miller began his career in 1968 at Ford Motor Company and after more than a decade there joined Chrysler Corporation where he worked for 13 years, eventually serving as Vice Chairman. While at Chrysler, corporate staffs, financial services, international automotive operations, and non-automotive operations all reported to him. Mr. Miller led the financial negotiations with 400 bank lenders and the Federal government, which resulted in the Loan Guarantee Act bailout package in 1980 that saved Chrysler. Mr. Miller currently serves as a Director of Symantec (SYMC) and WL Ross Holding Corp. (WLRH). Mr. Miller has previously served as a director of a variety of companies, including United Airlines Corporation, Reynolds American, Inc., U.S. Bancorp, and Waste Management, Inc.
Mr. Miller earned a degree in economics from Stanford University, a law degree from Harvard Law School and a master’s of business administration, majoring in finance from Stanford Business School. Mr. Richard Davis is Chairman, President and Chief Executive Officer of Minneapolis-based U.S. Bancorp, the fifth largest bank in the United States. Mr. Davis has served as Chairman of U.S. Bancorp since December 2007, Chief Executive Officer since December 2006, and President since October 2004. He also served as Chief Operating Officer from October 2004 until December 2006. Mr. Davis was also an Executive Vice President at Bank of America and Security Pacific Bank prior to joining Star Banc Corporation, which was one of U S Bancorp’s legacy companies. Mr. Davis brings extensive leadership skills and financial services industry experience and knowledge to the Board. During his career, he has served as Chairman of the Financial Services Roundtable, Chairman of the Consumer Bankers Association, Chairman of The Clearing House, and representative for the Ninth District of the Federal Reserve, where he was President of its Financial Advisory Committee. Additionally, his service as lead director of the Xcel Energy board of directors broadens his experience of overseeing management in an industry subject to extensive regulation. Mr. Davis also currently serves on the board of directors of the National American Red Cross, The Itasca Project, the Minnesota Business Partnership, The Minnesota Institute of Arts, the Twin Cities YMCA, and the University of San Diego. He was also one of three executive co-Chairs that made the presentation to the NFL to secure the Super Bowl coming to Minneapolis in 2018. He continues to serve on the 2018 Super Bowl Host Committee.